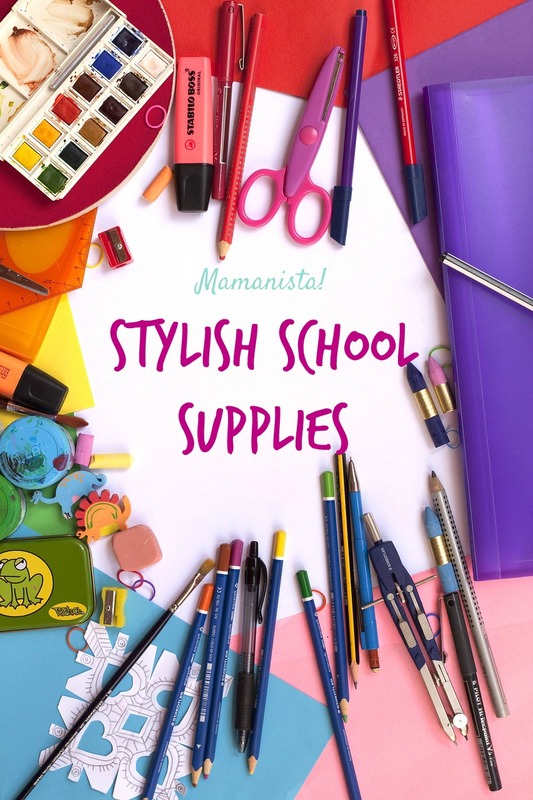 Stylish School Supplies - Mamanista! This might mark me as a nerd (not that my friends had any doubt), but I absolutely love shopping for school supplies. Baby Mwah has years to go before he’ll need notebooks and binders, but I’ve still been out hunting for school supply bargains since I helped run our local school district’s school supply drive. While I go nuts for great school supply deals (2 dozen pencils for a nickel and composition books for a quarter…I’m there! 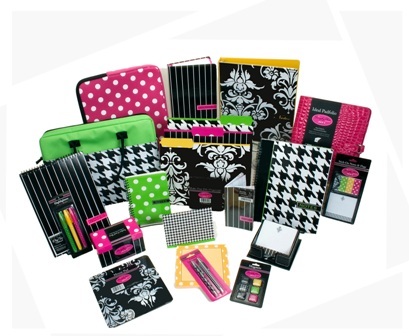 ), I also know that having hip school supplies can be part of the fun for a kid. I was a child of the 80s, and I still remember the thrill of getting a Trapper Keeper with a unicorn and a rainbow on it when I was in the second grade. So I made sure to buy some stylish supplies to mix in with the generic notebooks and folders as well. We get lots of press releases at Mamanista, and we try to keep our eye out for chic bargains as well as for splurges. 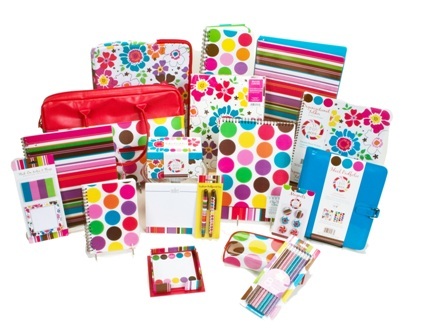 I love the bright colorful designs of the Eye Candy and Simply Chic School Supplies from www.carolinapad.com. But what I love most of all is that they are available at Wal-Mart at reasonable prices. Because….you aren’t going to be able to save for college if you’re stuck paying over a mint for notebooks and folders. I picked up a bunch of these for our school supply drive, and I have to confess that I bought some for myself too. I’m not in school or going back to school, but I do like having a pretty notebook for all my to-do lists, journaling and writing. While the Simply Chic and Eye Candy line is great for girls, it’s important not to forget about boys too. 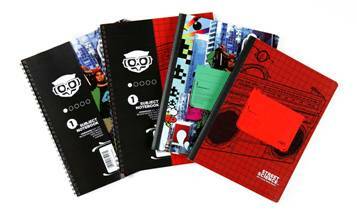 I got a press release about Street Science’s new line of school supplies. This collection is available at K-mart and Duane Reade (everything is under $4.99) and has a hip-hop and Xtreme Sports vibe. The middle school boys who received them really liked their style. Aside from the reasonable prices, I like that Street Science is giving back to the education community by donating a portion of each sale to the Street Science Foundation which helps support improvements in the school system. You can check out the designs at www.streetsci.com.